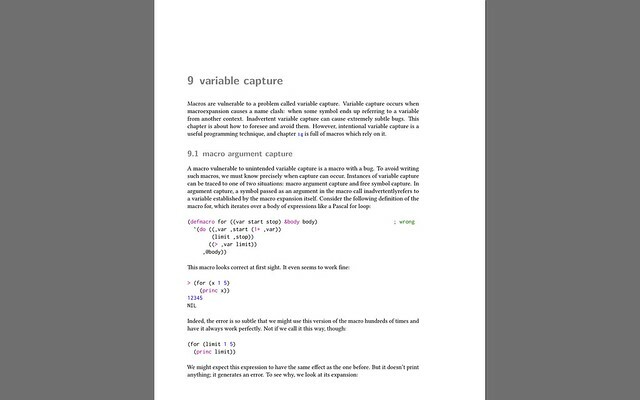 My PDF reader of choice is Xpdf, but I recently started to use more and more MuPDF. It has much better rendering, vi-like keys for navigation, zoomable fullscreen and more (speed aside, since Xpdf is fast enough anyway). reading TOC (Table of Contents) is non-existent - this is essential for me when I read a largish book or book without proper links in content part. Because of that, I keep Xpdf still around. setting paper color is missing - when I take a long reading session, I usually invert colors which makes intensive white background color as black and more pleasant to read. However, paper, or background surrounding document, is still gray which can be distracting on large monitors. 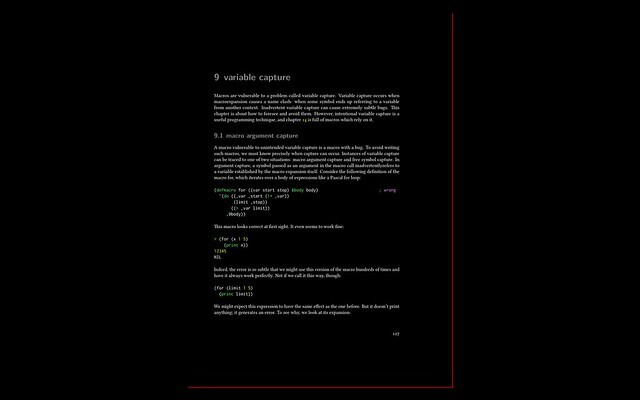 Xpdf solves this by providing -papercolor <color> option and another option I like - inverting from command line. 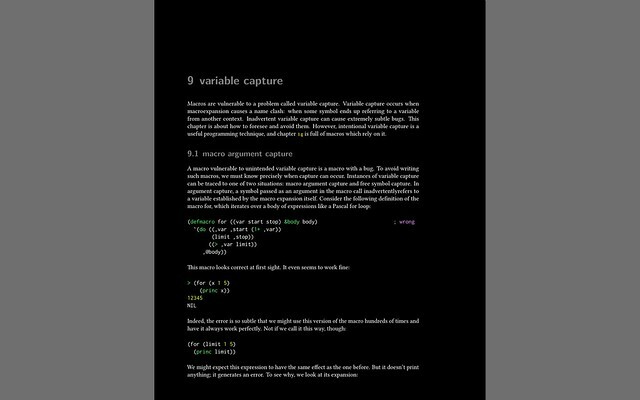 The later is useful for setting PDF reader to start with inverted colors always (with alias or shell script), but that is for different post. So, to make MuPDF usable for my setup, I hacked it a little bit by adding two additional command line options, -D <color> and -P <color>. In short, -D will setup shade color (shade are small lines around document to give embossed impression) and -P will setup paper color. Please note that this patch works only for X11 version of MuPDF. Of course, you can use different colors for your taste, as long as they are X11 color names. Note that Flickr's embedded images are crap, so this is a link to full album for viewing pleasure. Save it, apply it, recompile MuPDF and enjoy.